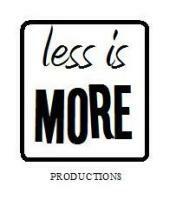 Over the past few years, less is MORE has been very fortunate to work with some amazing people. We are able to offer the following services. Why not get in touch for an informal chat about your needs? We have recently worked alongside Cleveland Police and the NHS and provided them with Role Playing sessions. We have also been commissioned to write two pieces over the last two years for the Summer Reading Challenges in association with Middlesbrough Libraries. Have an idea for something like this? Why not get in touch with us to discuss your needs? Are you in need of someone? Why not have a look at this list to see if we could help you with your next project? Why not give us a call and see if we can recommend anyone for you?